Be Empowered by the Empowered Woman Project! Fun, strong, interesting and inviting are but a few words I would use to describe Mandy the founder of The Empowered Woman Project. This woman is someone I wish had been around as a role model when I was younger. Mandy bravely decided to share with the world her mental health story and openly discusses about how trying to take her own life earlier this year was the turning point for her. Similarly to me, she wanted to share her experiences with the world and turn something negative into a positive. The Empowered Woman Project started off as a way of building up her own confidence and over the last few months it has gone from strength to strength with growing media coverage. Those of you who keep up with the blog know that I post my new content every Wednesday but I’m so damn excited about this interview I decided to post it a couple of days early! So, grab a cuppa and get ready to read the heartwarming interview with Mandy Rose Jones founder of The Empowered Woman Project. Firstly, would you mind explaining what the project means to you an why you initially set it up? The project means the absolute world to me. I shared my story with the world via the blog when I was in the darkest of places with my mental health. My sharing has inspired many other women to share their own stories which have covered everything from motherhood to crippling anxiety. When I tried to end my life in March, I literally just wanted to disappear. I didn’t feel seen. Now that I see a small light at the end of the tunnel, I want the project to remind other women that they are seen, they are important and they matter. It’s a very personal project and the fact it’s helping so many people is really helping my recovery process. Writing things down, no matter who reads it, is so therapeutic. Female Empowerment is becoming a popular phrase in modern society but what does it mean to you? Female empowerment, to me, is the belief that we can achieve anything we want in life with the right mindset and support network. It means women supporting women and having enough empathy to support another woman in need. I think empowerment the notion that kindness and support from woman to woman (in this case, online!) is just so easily implemented and can make such a huge difference. What advice do you have for women to use in their everyday lives to help them feel more valued and empowered in their own bodies? In my opinion, women just need to speak a little bit kinder to themselves. Sometimes we aren’t in tune with our internal dialogue enough to correct it. My advice is to try and tune into those voices from time to time. Chances are you probably aren’t being very fair on yourself. For example, a follower of the project got in touch last week to say she had been shopping for holiday clothes and had a bit of a meltdown in the changing rooms during what should have been a fun experience. I can bet she was saying negative things to herself which was amplifying the bad experience. Slow down. Breathe. Compliment your curves, be thankful for your body and all the things it can do. Remind yourself that your body can take you on long walks, can cuddle other people. It can stretch! Try loving it for all that it is rather than hating it for all that it’s not. To someone somewhere, you are GOALS! Speaking of body confidence, it means so many different things to different people. What does body confidence mean to you? Personally, body confidence to me has always related back to weight. For years I associated being slim or lean with my capabilities of happiness. But as the years have gone on, I’ve had the same hang ups when I’ve reached the ‘goal weight’ as I did when I was just comfortably living life. As someone who has competed in Bodybuilding shows and also struggled with eating disorders in the past, I now just try to find body confidence in being proud of everything it can do. I have long legs to take me on walks, a strong body to lift weights and plenty of food to eat. It’s about being grateful for what you do have. It’s been interesting to discover it means different things to everyone. Some people lack body confidence due to a skin condition or even conditions such as chronic fatigue syndrome which have a knock on effect to overall body confidence. It’s important to chat all about it. Earlier you mentioned that you share women’s stories across your blog. I would love to know why you decided to use this format? Is it as a way for women to express themselves in their own voice? I think it is. I like to think that the project, as it grows, is bridging the gap between mental health care medically that people just aren’t asking for and social media. It’s a safe and understanding platform full of support and encouragement where women can feel safe so share their own story with the world without fear of judgement. The project is going from strength to strength and I really believe what you’re doing is making a difference out there. What are your future plans with it all? The reason it’s called a project is because I’m not quite sure where it’s going But that’s the exciting part. It’s kind of driving itself at the moment! I see the blog continuing to grow and hope that guest contribution continues to thrive. The podcast and YouTube will be more lively in the coming weeks as I speak to inspirational women from all different backgrounds. I am also soon going to be seeking kindness ambassadors who I hope will fulfil some of the project’s goals in new cities. The internet is an amazing place sometimes with people from as far away as New York wanting to get involved! Finally, Mandy, where can the lovely readers find you online so they can soak up all this amazing, inspirational work you do so passionately? A massive, massive thanks to Mandy for sharing her time and stories with me. If you haven’t heard of her before then do please check out her work, she’s a fabulous woman, who deserves all the rewards of the hard work she is putting into this project. I am really interested in sharing other inspirational women’s stories across the blog so do stay tuned for more upcoming interviews promoting other female badasses! A report from earlier this year, carried out by the BBC, found that over three billion people worldwide use online social media, and we are spending on average 2 hours a day scrolling down our screens checking out our friends latest feeds. Now, if you consider that there are 24 hours a day – and of that we should be sleeping for around 8 hours of it – we are spending at least an eighth of our day online. Before we begin, this post isn’t here to bash social media and tell you how bad it is for you, and I promise I won’t suggest you throw your phone into the sea and never communicate with the online world again. I love social media, my boyfriend would even go as far to say that I’m a social media addict. I think there are huge benefits to connecting with others online. Instagram allows us to share special moments in an instant; Facebook allows us to keep connected to family and friends all over; Pinterest acts as a great tool for generating ideas and inspiration and blogs and videos allow us to share new and innovative concepts with one another at any time, anywhere. However, I do believe we spend too much of our day online and if we were honest with ourselves we’re not always using it intellectually; we’re mindlessly scrolling to pass time and avoid boredom. Last week, I spent a seven days in the beautiful West of Scotland on a yoga retreat as my first half of my yoga teacher training- more on that in a future post. Yoga twice a day, classes on the a wide range of yoga topics including, energy systems, understanding ancient texts, eras of yoga ect. I was eating the most delicious home cooked, wholesome food, and surrounded by all the beautiful nature Scotland has to offer- and of course- there was no wifi. The thought of not being able to keep in touch with my friends and share what I was up to brought me out in a nervous sweat. However, I decided to use this as a mini experiment and see how I could live without social media for a week. I must admit, day one was hard, I was with new people and when you run out of chat what’s the first thing we do- turn to our phones to avoid further conversation. I couldn’t do that with limited signal and no internet connection. Thank god! Not having access to it allowed me to really get to know some really fun and interesting people! Genuinely hang out with a bunch of yogis for a week in the middle of nowhere and integrating back into normal society afterwards is so strange. Much to my surprise it got easier and I actually really enjoyed not being attached to my little rectangular device all day. It allowed me to think more creatively, have more meaningful conversations with others and I could feel my overall anxiety levels depleting day by day. So, after reflecting my week of being social media free I’ve come up with a few tips on how you could live your life a little less digitally. Turn off your notifications. This one is really easy to do. For the whole week I turned off every notification to all my social media channels and put all my apps in a folder together on my phone hidden away – I didn’t need any temptations. Then, when my detox was over I only turned on notifications for apps I know I need like my email and Messenger. By not having my phone lighting up every time something new happened I felt less inclined to check my device every five minutes and I find it liberating not being distracted by useless posts and updates all day. If you don’t need your phone on you then keep it tucked away. My training was full on, I didn’t have time to get distracted by my social media apps. By putting it away in the morning until I got all my important work completed I worked far more effectively and efficiently. When you know you have a big deadline that needs your urgent attention put the phone in a different room on silent so it can’t draw you in and tempt you. Question your behaviours. The less I was using my phone the more I noticed strange behaviours I had developed by overusing my device. For example, there was a lot of self development work throughout the week and whenever I was thinking about something uncomfortable or something I didn’t like, I instinctively went to my phone to try and check Facebook as a distraction technique. When the app wasn’t there I had to ask myself- why did you automatically do that rather than sit with your thoughts? I found this really interesting because it enabled me to question why something was unsettling me and I could explore other avenues for dealing with pain and discomfort. For example, I would go and call my family or my boyfriend for a chat to explain how I was feeling or I would take a walk and allow the fresh air to clear my head a little. Rather than suppressing stuff I didn’t like by going online I had to face up to it and move forward which I found really empowering. Bedtime is for sleeping and switching off. I did notice that while I was away I often wanted to scroll online when I was lying in bed at night waiting to fall asleep. As we didn’t have an alarm clock we needed to use our phones but I do like the idea of removing my phone from my bedtime routine and switching my alarm for a physical alarm clock instead. Replying to a friend’s meme tag can always wait until morning! So, there you have it, my experience of going social media free for a week. Don’t get me wrong I won’t be deleting all my online accounts anytime soon, but taking part in a social media detox has allowed me to become more mindful of the time I do spend online and how it could better serve me doing something more productive. If you have also carried out your own social media detox do let me know in the comments section below I would love to hear about your experiences too! I’ll be honest, this week my head has been all over the place, I’ve felt anxious, nervous and really unlike myself. On my laptop there is a list of ‘future blog post ideas’ that I have stored away which I’m really interested in and none of them were shouting out to me to be written this week. Then a post popped up in my Instagram reminding me that May is Mental Health Awareness month- it felt the most appropriate thing to write about given my current week. Mental Health is becoming a topic we can more openly discuss with one another but it’s certainly one people still feel uncomfortable about when they’re surrounded by it. FULL DISCLAIMER: I used to really struggle to discuss mental health with people; I’m a hugely empathetic person and because I hadn’t gone through what a friend was going through, I couldn’t get my head around it – I didn’t understand how difficult their situation really was. It wasn’t until I was diagnosed with depression that changed, and even then, the first couple of months I was so embarrassed I didn’t want anyone to know. I’m generally a loud, bubbly, friendly and outgoing person, how were people going to understand that inside I was a deeply sad person who didn’t want to get out of bed in the morning? So firstly, I think this post should recognise that it is OK for someone to feel a little uncomfortable when discussing mental health. It does not mean your friend doesn’t care about you or doesn’t believe what you are saying. I’m sure they are trying to understand what you are experiencing through their own life perspective which can be difficult- try and be kind to them too. If you are someone who this resonates with and don’t know what to say or how to act around someone struggling with a mental health issue but you want to be there for them, my advice would be to simply sit and listen to them. This allows them to talk about the chatter which is circling around their brain and is usually all they are looking for in the first place. We also need to remember that although no two people’s experiences are the same it’s great to open up with one another and share stories. Everyone suffers with poor mental health to some degree in their lifetime, so no doubt your story shares similarities with someone else’s and having an open and vulnerable conversation often makes you realise you’re not alone in this world and people understand to some degree what you are experiencing. This kind of conversation is what helps people recover and in some instances can save lives. This final part i’ll discuss today touches on mental health recovery- something I am experiencing right now. I was on medication for depression for around six months and have come off them in the last two. Generally speaking everything has been fine since and I live a very normal and happy life. But, and there’s always a but, some weeks are much harder than others. This week in particular has been a real struggle, the nervousness, anxiety, and lack of self worth have all crept in and really got me down. However, this is to be expected and I need to remind myself that not every day will be plain sailing. The best way I have found to describe my emotions is by using the image of the sea. Like the sea, my emotions are always drifting in and out and they’re usually very manageable and controlled, but sometimes something happens (and often I don’t even know what that something is) and it’s like a big rock has been dropped into the water creating a disruption in the waves. However, the sea will always return to normal once more – even stormy seas settle and become calm once more. You’ve just got to ride it out- and for me that involves some #boringselfcare but I’ll save that for another post. This post feels all over the place but in all honestly I’ve just written from the heart. Mental Health doesn’t look perfect and much like this post it is very scattered and erratic. All I ask is this Mental Health Awareness month is that you are more open to discussing your own and others mental health issues with one another, learning something new, breaking the stigma, and promoting healthier communities and relationships with each other. Now, everyone loves an Instagram poll, and I used one on @meganalexandra_yoga to find out what you most wanted to read about this week! Like I’ve said before, my main aim is to create content you’re interested in and that educates you in a wide variety of health and wellness topics. So, due to public demand, this week I am focusing on the topic of happiness, what it is, and how you can experience it. One of the main goals as humans is to experience happiness, but there is much debate on how we can actually become more happy. Does having more money equal greater happiness? Does being in a relationship make you happier? Does being thin and athletic mean you’ll be more content in life? The short answer to all of these questions is no. The real reason some people are happier than others is actually much more simple than that. Happier people have a happy mindset. Let me repeat that, “happier people have a happy mindset”. It really is as plain and simple as that- happiness is a choice. Read on to find out some methods I’ve discovered throughout my own life which have allowed me to experience an abundance of happiness and joy. Firstly, stop attaching happiness with external things. For example, I always used to associate happiness with being in a relationship. I believed that while I was still single I couldn’t be truly happy. But, then I would meet someone and once the initial new romance glow would wear off I would find myself deeply unhappy once more. “Why do I feel this way? I would ask myself, I have exactly what I thought would make me feel better and now I actually feel worse than before.” The reason I felt like this is because I had experienced that short term happiness that fades over time and I was chasing my next happiness hit. However, if you look inwards and focus on having a stronger relationship with yourself you’ll learn that happiness comes from within and that you shouldn’t rely on other people, places or things to give you that sense of satisfaction. Secondly, I try and look at things that aggravate me as challenges rather than sit and dwell on them. I personally find that the longer I focus on something that I feel is an injustice, the worse the feelings of hurt or anger get. If you feed the feeling it gets bigger and bigger. One way of starving these feelings and making them feel more manageable is by treating them as either internal or external challenges. Often, if someone says something that hits a nerve it’s because you’ve got some internal work to do in order to clear those negative feelings. Or, if I’m having a bad day, rather than think the world is against me, I try to see it as an opportunity to develop myself as a person and accomplish tasks I didn’t think I was capable of. My final piece of advice which has allowed me to be happier is to look at every situation with love. It actually takes more energy to be bitter towards someone who treated you wrongly or to hold onto negative feelings towards particular life events. Being bitter doesn’t stop these things from having happened- they’re now in the past. You’re letting them interrupt and interfere with the present moment, when they could have been left behind. Life is full of trials and tribulations and no two people will have the exact same experience, but if we change how we view them we’ll stop letting these experiences define us as individuals and live more presently. So, there are three ways I try use to allow me to view life in a happier way. Now don’t get me wrong, it’s not always easy and I don’t always keep my cool in situations. We’re always learning, evolving and developing but I promise if you want to be happier it is entirely possible, and it is entirely down to you. If you have any of your own ways of cultivating happiness I would love to know! Please leave a comment below and start a conversation! What is self care? Or more importantly, what isn’t it? As I write this post there are 5.1 Million #selfcare Instagram posts online. Posts full of inspirational quotes; bubble baths with pretty lush bath bombs; healthy dinner plates and yoga poses galore. Self care has become a buzzword and is expected to become the wellness word of the year. The question is, what is self care and why have we become so obsessed with it? Are we genuinely learning how to look after our mental health in order to better serve ourselves and others, or are we just following another online media trend? The mental health awareness charity Mind, describe ‘Self Care’ as techniques or general lifestyle changes that allow individuals to create steps enabling them to manage their own mental health in a positive way. These techniques differ from person to person, when I was suffering with depression I turned to my yoga practice to give me the opportunity to learn more about my thoughts and feelings and develop strategies when coping with the illness. However, for others, self care may involve taking the time to cook a meal from scratch and enjoying it with a close friend or pouring a bath and giving themselves half an hour to read something that they enjoy or listen to an interesting podcast. What I’m getting at here is when practicing self care you have to do something which evokes feelings of love, care and joy within yourself. If you are copying #selflove acts that someone posts online, but it isn’t bring you any form of happiness or contentment then you have fallen into the trap of following a trend and not developing healthy strategies to cope with the stresses that come up in daily life. There has also been discussion in the media lately about whether self care is making Millennials more narcissistic and too involved in themselves. The term selfish gets a bit of a bad rep in British culture. If you’re ‘selfish’ people associate you to be someone who only thinks about themselves rather than do things to benefit others. However, I believe if you are consciously carving time out of your day for yourself, in order to recharge the batteries and calm the mind you will be able to serve others in a more productive way which not only benefits you it benefits those around you too. In short, you’re probably not a narcissistic individual- well done for looking after yourself! Self care isn’t a negative act, it’s an act of love and compassion towards yourself. I hope to teach people this in my future yoga classes and give them the opportunity to zone out from the world and channel their energy inwards to better themselves. This week I challenge you to take half an hour out of your day to do something that you love. Let me know in the comments below how it made you feel afterwards and if it allowed you to support your friends and family in a better way. 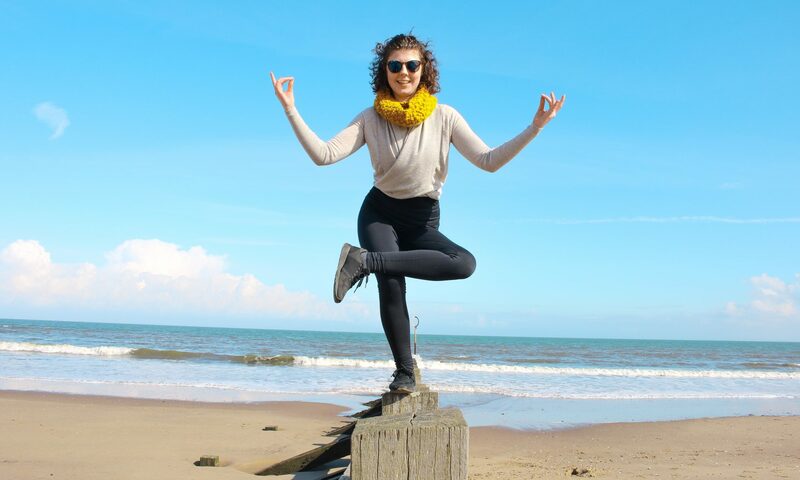 I’m Megan, a Scottish yoga teacher in training and a self – love activist who wants to show you how yoga can change your mental, physical and spiritual being. This is a short, introductory post where I have narrowed down a few of my main key values so you know what to expect of me and this blog. As the saying goes, “behind every successful woman there is a tribe of successful women who have her back.” In a world where perfection seems to be the ultimate goal, it is unsurprising that we as women have become disempowered and have lost our feeling of self worth along the way. Not anymore I say! I want women to learn that yoga can be used as a powerful exercise tool – because moving our bodies feels good – not because we want to lose four pounds to achieve the ‘perfect’ body. I want you to learn how to love the skin you’re in and enjoy how you look now. If you’ve got a body and can breathe (which I hope you can if you’re reading this) then you can do yoga! Yoga is known as a practice because you’ll never stop learning. Before I decided to do my yoga teacher training I was nervous about signing up because I didn’t think I was ready. “There are people doing waay more advanced poses than me on Instagram so therefore I’m not ready to become a teacher” was what I would say to myself when I was umming and ahhing about my decision. Thank goodness I was told otherwise and I did take the leap to beginning my training, I haven’t looked back yet! 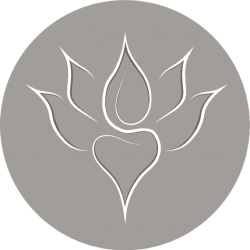 This blog and my practice will grow and mature, improving along the way, so I hope you’ll join me and we can improve together and create a community of yogis trying to better themselves and develop our practice together! The beauty of having this online space to blog is that I have the opportunity to write what I believe are important topics and issues that need to be addressed. I want to create a blog with substance over style and create an educated yogi community of empowered women moving their bodies in a way that makes them feel good both inside and out. I plan on posting midweek twice a month to begin with, giving me time to write genuinely interesting content that I can share with you. I want this platform to educate women on the benefits of yoga and allow them to develop a better relationship with themselves and boost their physical, mental and spiritual wellbeing allowing them to be the best version of themselves. If you’re interested keep up with me here and over on Instagram @meganalexandra_yoga. What are your core values? I would love to know, leave a comment below!